Greetings from Los Angeles! I have returned from what seemed to be a whirlwind of events. In the evening after my Beachwood Arts Council performance, I traveled to Ann Arbor, Michigan. The next day my duties as an Artist-in-Residence at the University of Michigan School of Music, Theatre & Dance would commence. My connection to University of Michigan (U-M) began in the early 2000s when I met Louis Nagel, who was then faculty at U-M. 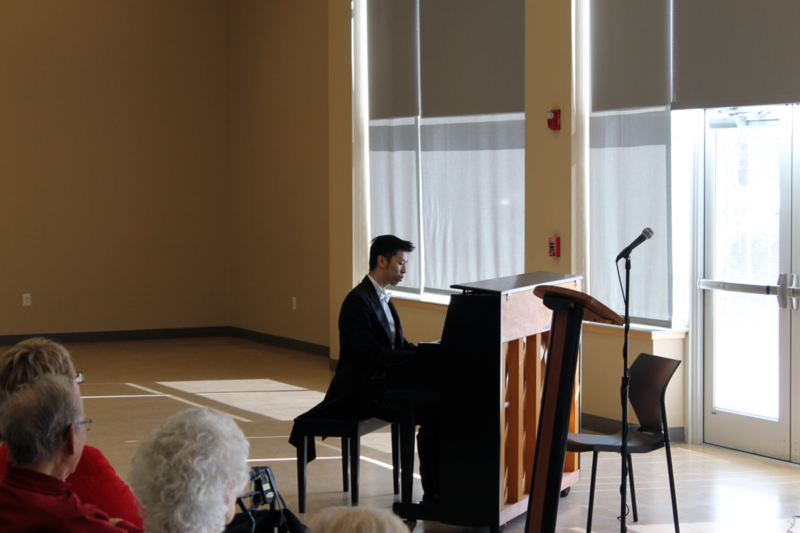 I participated in the Los Angeles International Liszt Competition and happened to win first place in my age division by playing the Tarantella. Mr. Nagel commented how my playing reminded him of Josef Hoffmann, a legendary pianist whom even Rachmaninoff admired, director of the Curtis Institute of Music, inventor, and Los Angeles resident. Mr. Nagel and I kept in touch after the competition, and U-M was on my radar as one of the schools I considered applying to for doing my Bachelor’s of Music. As fate would have it, I ended up doing my Bachelor’s at the Cleveland Institute of Music (CIM), as Myong-joo Lee, one of my piano teachers in high school recommended me to study with Paul Schenly at CIM. It is nearly impossible to surmise how I would develop personally and professionally had I attended U-M instead of CIM, but now having visited U-M, I can say with confidence that the talented and strong piano department, encouraging and convivial atmosphere, modern facilities, incredible pianos to perform on, I would have learned a lot at U-M and enjoyed my time there. Nevertheless, during my three-day visit in March 2019 at U-M, I did learn a lot and enjoy my time! A year and three months ago Matt Thompson, Assistant Professor at U-M, invited me to attend U-M. I still remember checking my email nonchalantly and coming across Matt’s invitation. Similar to the Mario Piano video appearing on eBaum’s World and the Super Mario Medley video appearing on gprime.net, the greatest things happen when one least expects it. Over the course of the next months, Matt and I worked out the details of my visit. I would teach students, visit the Piano Forum, visit Matt’s Video Game Music class, perform a concert, participate in an Excel talk, and make a Vodcast. My visit was funded by a grant Matt received to teach video game music and by U-M.
On Monday, my first day at U-M, in Matt’s piano studio, I taught some of Matt’s students, who were working on video game music. Some pieces included Somnus from Final Fantasy XV, Legend of Zelda: A Link to the Past – Dark World, a jazz arrangement in 5/4 of the Final Fantasy Chocobo Theme. One student happened to have watched my piano videos on YouTube since over 10 years ago, and recalled the community I had on YouTube. Today I would like to continue building the community. My teaching included expressing the structure of the piece and prioritizing eloquent phrasing, clear articulation, and expression and appreciation of the inner voices. To one student I suggested to add more voices to enrich the harmonies. Many times I found myself saying principles I had learned from studying classical music, especially from Myong-joo Lee, who espoused, when one plays the dynamic piano and pianissimo, one needs to be physically tense to know exactly how much energy to put into the keys, and when one plays forte and fortissimo, one needs to be physically very free and relaxed to create warm and sonorous sounds. At first, these concepts may seem contradictory to the mind but may make more sense to the ear. A concept I self-discovered recently is that if one finds oneself trying to focus on individual notes perhaps out of insecurity of memory or not having fully “learned” the piece, one should instead focus on the overall structure. After all, even if one can play all the notes without making a mistake but is unaware of the structure, the performance won’t sound good. I also advised some students to practice their scales and arpeggios more often. When I worked with the students, it felt like it were two people working together on a piece and discovering it anew, rather than a teacher simply giving directions to the student. Monday afternoon and evening included me practicing for the Tuesday concert, rehearsing video game music duets with Matt, attending a Vocal Department Recital, and a dress rehearsal on stage with Matt and by myself in Britton Recital Hall in preparation for the concert. 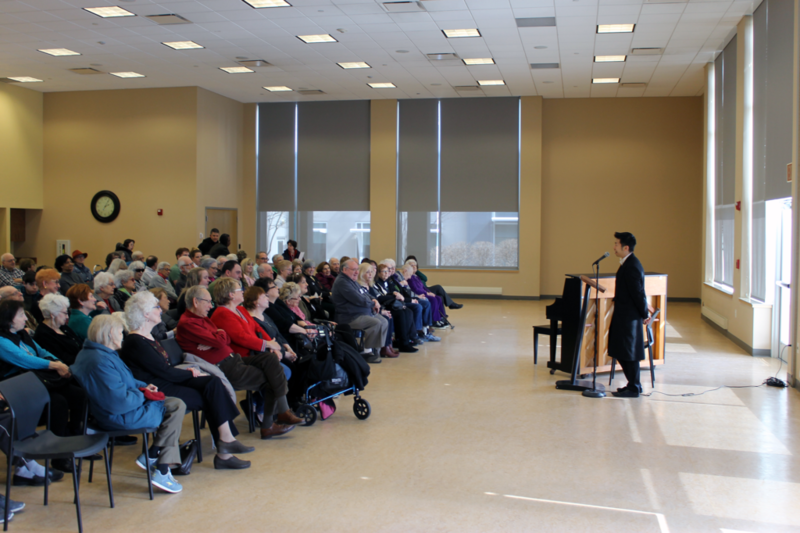 I was impressed by some singers in the Vocal Department Recital who showed confidence and drew the audience into the atmosphere of the music as well as the performer’s personality. When I rehearsed in Britton Recital Hall, I got to make a selection of two pianos. The great pianist Richter remarked, in “Sviatoslav Richter: Notebooks and Conversations” by Bruno Monsaingeon, on page 108, “…I was allowed to choose my own piano. I was presented with dozens and I spent all the time thinking that I’d chosen the wrong one. Nothing is worse for a pianist than to choose the instrument on which he’s going to have to perform.” Fortunately my choice was easy to make. I was presented with two Steinway pianos that were each 9 feet in length. After about 5 minutes, I chose the new Steinway piano that had a scintillating sound in the mid to upper registers, a clear and deep bass, and very responsive action. During the dress rehearsal, I felt that the ensemble between Matt and I was getting better and better each time we played the duets, and my solo repertoire was coming across how I had intended it to be. I felt free and expressive on stage. The discipline of paying attention to every note in my practice had paid off, and I could let things happen on their own. I had recently transcribed and arranged Celeste, Stardew Valley, and Undertale music, and it was exciting to perform new repertoire. The dress rehearsal went until midnight, and I got back to my hotel room just in time to make my self-imposed 9:30 pm PST bedtime, in which missing my bedtime by one minute can be mildly annoying, just as, for example, missing boarding a train by one minute. I didn’t have time to make my chamomile tea, so I literally chewed some Egyptian chamomile flowers with a little bit of manuka honey before going to bed. Tuesday was another enthralling day. 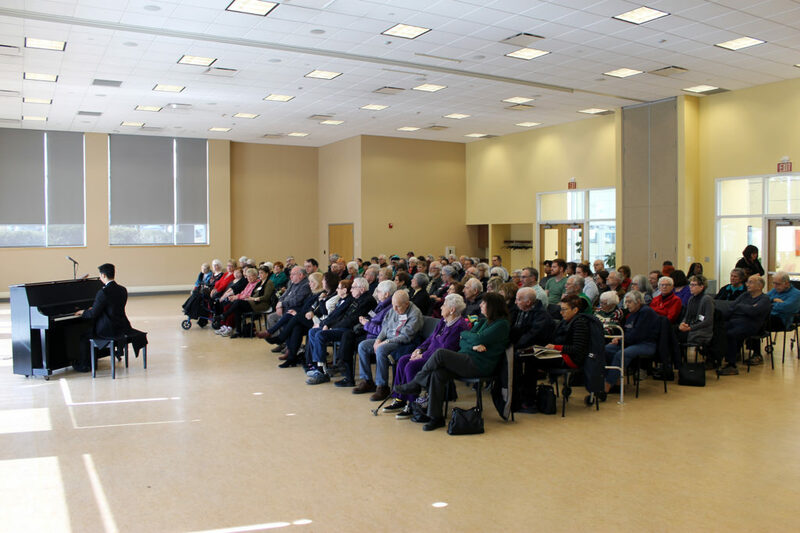 Matt and I did a Q&A session for piano majors at the Piano Forum in Britton Hall. At CIM I remember attending Piano Colloquiums, and at the Yale School of Music, Piano Seminars. 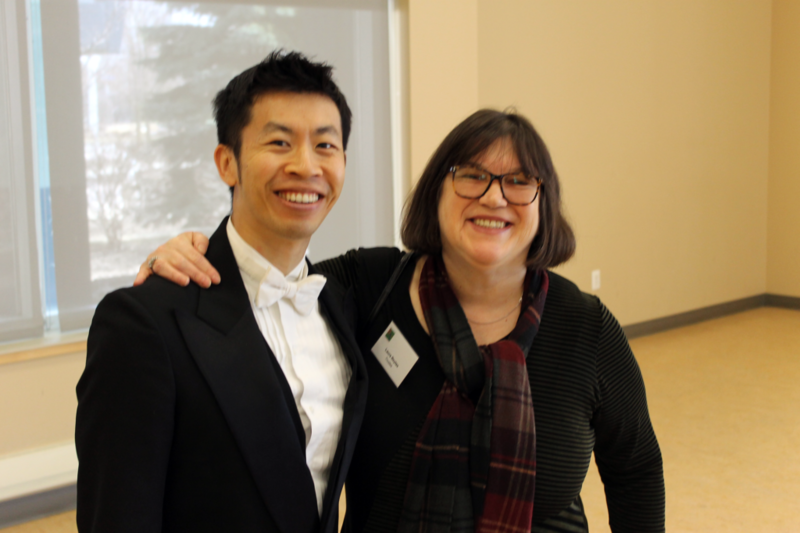 At U-M I was no longer a student at a class for pianists, but as a guest, and this didn’t cross my mind until I am writing this blog post. 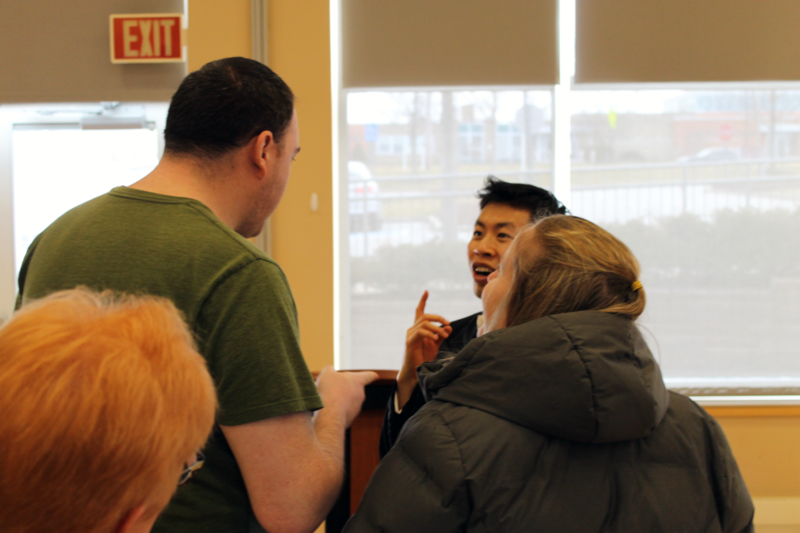 At the Piano Forum I answered some questions from some piano majors and a piano faculty member who were interested in video game music. 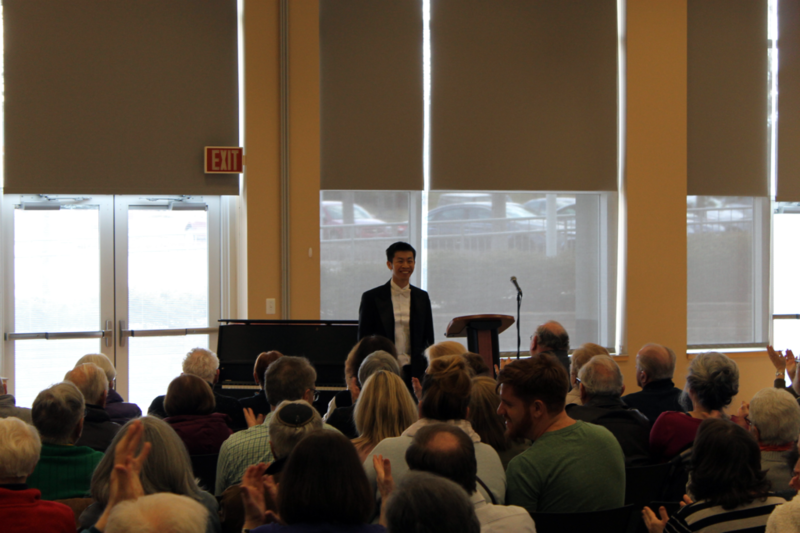 One question Matt asked me was something like, “If I had any advice to give myself if I were to be a undergraduate piano major again, what would it be?” I replied that I would listen to more historical recordings. Piano performance traditions have definitely changed from the so-called golden age of piano playing, and whether they are for the better or for the worse may not be the point. What is important is to realize how piano playing has evolved, and that is through listening to historical piano recordings. Similarly to how chess masters study chess by studying historical games from the past and knowing the general content and narrative of specific games, knowing the names of the opponents for the games, the date of the game, the location of where the game took place, serious pianists should study historical recordings from the dawn of the electrical era to the late 1900s. I am currently listening to live recordings made by one of former teachers, the legendary Claude Frank, as well as some duo piano performances with Mr. Frank and his wife Lilian Kallir. When listening to the recordings, what leaves a lasting impression is the tone of the performance, as well as beautiful phrasing, sense of style, expression of characters, clear articulation, the use of rubato, the use of the pedal, and so forth. For example, similarly as how one can be impressed by a beautiful sunset, one can be impressed by hearing beautiful music. It was a great pleasure and honor to meet Christopher Harding, professor and chair of the piano department, after the Q&A session. 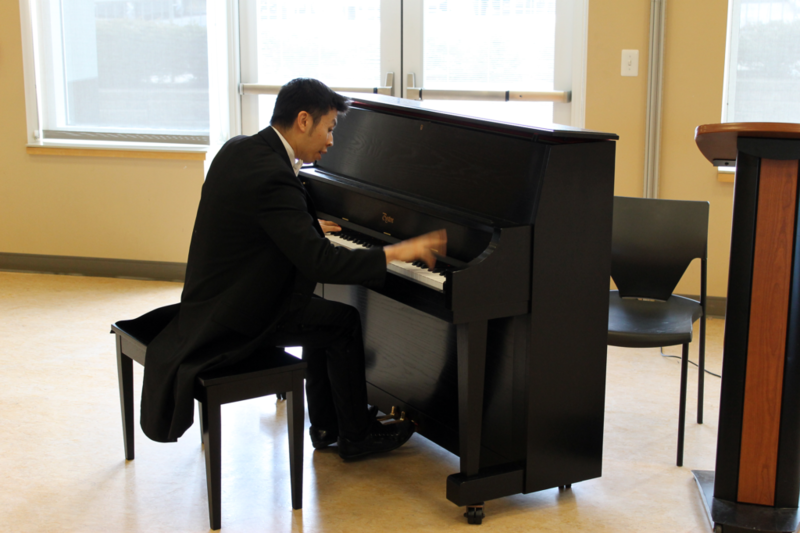 All of the excitement on Tuesday was to culminate in my piano concert later that evening. Dressed up in my tuxedo, not just for a formality but for good luck, as all of my performances when I’m dressed up in a tux go well, but let’s don’t jinx it, I headed to the green room, where Vladimir Horowitz himself visited when he performed at U-M. Only recently, from listening to a recording on YouTube, did I learn that Arthur Loesser performed at Sprague Hall at Yale, where I gave my Master of Music graduation recital. With my USB-rechargeable hand warmer, I went from the green room to backstage when Matt informed me that it was nearly showtime. Matt then went on stage and gave a brief introduction, and then I walked out on stage to warm and enthusiastic applause. The concert was beginning! Having played chess nearly every day online has definitely helped with my piano playing. I find that when I take a break from chess for a few weeks to focus on piano more, my piano playing isn’t as creative and free. Definitely chess has been a formative sport, science, and art that has developed my critical thinking skills, sense of beauty, exercised my reaction times, led me to feel various strong emotions during a chess game, and exercised my memory and motor skills. I hope to be a chess master one day. As the concert went along, I reminded myself to stay relaxed, and part of myself kept an eye on me staying relaxed. No longer was I learning and paying attention to every note as I did when I practiced, but now I could focus on the bigger picture, and could let the structure guide how the notes should be played, and not the other way around. After I finished performing my solo repertoire, Matt joined me on stage. The level of ensemble between Matt and I reached its peak at the performance, and it was a lot of fun. Starting a phrase together seemed effortless. Due to the sometimes percussive nature of the piano, when two people start a phrase a split second apart, the difference in timing can be noticeable. With Matt and I having only rehearsed for a total of about 45 minutes, according to Matt’s blog post about my visit, and I wasn’t keeping much track of our rehearsal time, Matt and I achieved a high level of artistry at the concert. Two player video game music piano duet achievement unlocked! I met audience members after the concert, and the age range was from about 20 to 75. 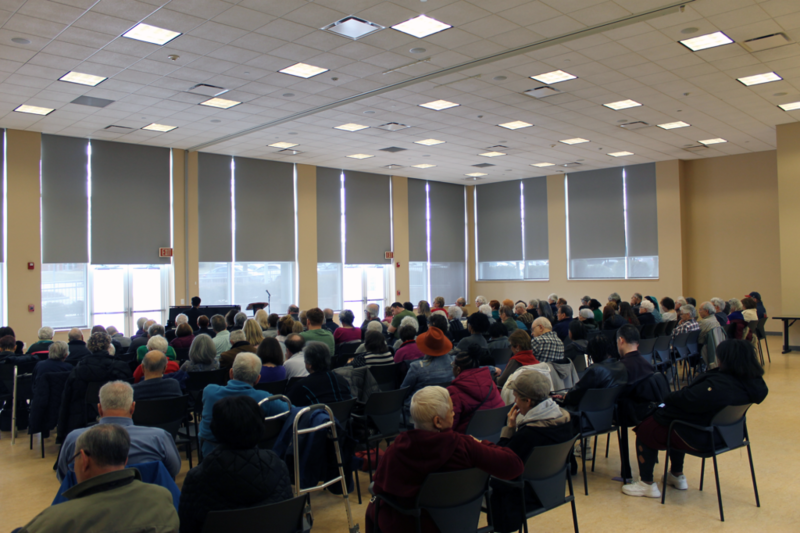 I enjoyed talking to a diverse group of people, including people who had traveled a long distance to attend the concert, many people who love music, a piano major, a flute major, and many others. Hearing from people who I had just performed for voice their appreciation made my hard work in the months prior to the concert all the more worth it. After the concert, Matt, his husband Vince, a professional countertenor, and I went to dinner at an Indian restaurant. We had lots of food, and it was good to relax a little bit. After walking out of the restaurant, the cold and fresh 40 degree Fahrenheit Michigan fresh air was indeed refreshing. Wednesday was my last day at U-M, and time was going by quickly. In the morning Matt and I recorded a Vodcast that will be shown to U-M students next semester, I believe. 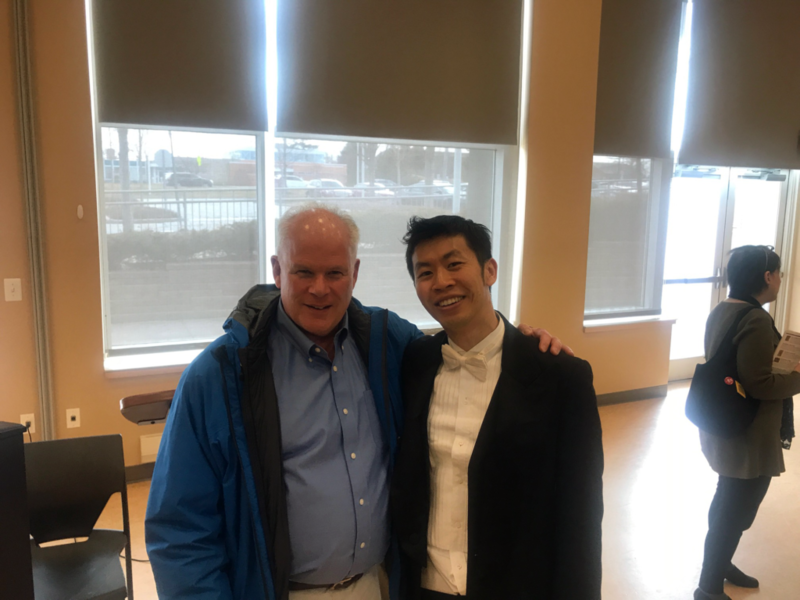 After the Vodcast, I was able to squeeze in a half-hour meeting with Matthew Bengtson, a piano faculty member who is also a FIDE chess master. We played a chess game that ended in Matt’s favor, and I enjoyed Matt giving me a tour of of some of his tournament games against well-known players such as Sergey Kudrin, Emory Tate, Joshua Waitzkin, and more. The meeting was very inspirational. I then gave a piano lesson to another one of Matt’s students, and enjoyed listening to Besaid Island from Piano Collections: Final Fantasy X. To help the student feel the energy go from the the shoulder to fingertip more easily, I had the student stand up and play. Violinists, for example, discuss whether playing standing up or sitting down is better. Opinions vary, but there seems to be a consensus that playing standing up gives a violinist more control. I feel the same way when I practice while standing up. In fact, when I learned the arrangements I made for Celeste, Stardew Valley, and Undertale, I spent many hours, sometimes 6 hours a day, practicing standing up while practicing on my piano in Los Angeles. The student definitely felt more at ease physically when playing standing up. I also cited Ravel’s Jeux d’eau as a reference to approach expressing the style in Besaid Island. Another student I taught later in the day showed me her Legend of Zelda arrangements for her seven-year-old student. The lessons that the student is giving to her seven-year-old student seem to be going very well. I also enjoyed hearing her play a complex and virtuosic arrangement of Dearly Beloved from Kingdom Hearts. I also gave a composition lesson to a student. After sightreading the composition, I gave my reactions from the side of a performer, on how I felt when sightreading the music. I enjoyed playing the composition that was inspired by feelings of true friendship. Following the lessons, Matt and I gave an Excel talk that was open to music majors and non-music majors. The talk was more open ended and was about how to use the internet to help one’s career. Students showed much interest in video game music, and a trombone major had created video game music trombone arrangements. With the completion of the Excel talk, my residency at the University of Michigan was complete! Matt, Vince, and I ate at a family-owned steakhouse called Knight’s. The icon of the restaurant was similar to a knight chess piece. After the dinner, I said goodbye to Matt and Vince. I had an early morning flight the next day back to Los Angeles with a connecting flight through Chicago. Soon it was time to say goodbye to my hotel room, and then to Michigan. I had a lot of great memories, and my visit was very special. Pictures and videos will be forthcoming. A big thank you to Matt Thompson and the University of Michigan for graciously hosting me! Check out Matt’s blog and his post about my residency here. 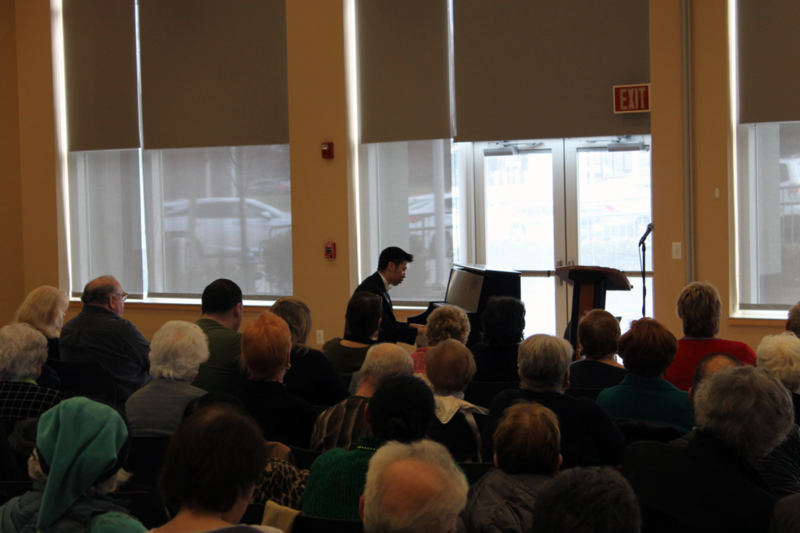 Thank you to the Beachwood Arts Council for inviting me to perform a classical music and video game music concert! It was a lot of fun! Many enjoyed both worlds! Tonight I leave for Ann Arbor, Michigan. Happy St. Patrick’s Day! Below are some pictures and the concert program. All pictures except the one with Dr. Nelson were taken by Paul. Fun times talking about classical music and video game music! I hope to return to Beachwood, Ohio, soon! © 2018 Video Game Pianist.